site of country music in Europe! and 4500 Square Meter Exibit Space! Children up to the age of 14 have free admission-accompanied by a parent. are available at the main entrance of the Country Music Meeting on all three days. We would love it if you could "like" us. Berlin. For a long weekend Berlin is turning into the capital of Country Music. When a colourful crowd of cowboys, can-can-dancers, US cavalry officers or well-fed ifantry officers of the union and the confederate troops make their way through the streets it's not a sign of a fashion show behind schedule. Then the time for the stars of Country Music (and those who want to be) has come, which will be celebrated nearly around the clock at 2 parallel events from February 3rd til February 5th. "Why does it have to be Nashville" is the fundamental idea, just as Germanys longest existing Country band Truck Stop once sang. Either Bluegrass, Cajun, Hillbillie or Country Rock - the american, european and german scene offers everything the Country heart wants - far away from the Country Music capital Nashville. Dozens of vendors from all over Europe make this a perfect picture. You can get nearly everything from a T-shirt to a stetson hat. 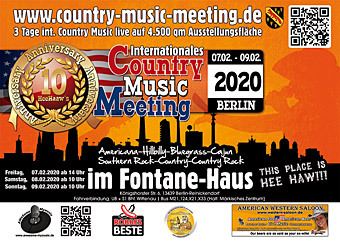 The "Country Music Meeting" at the Fontane-Haus in Reinickendorf might be the smaller event with 42 bands and solo acts from 11 nations on 2 stages, but according to the musicians and fans you'll get the better music here. 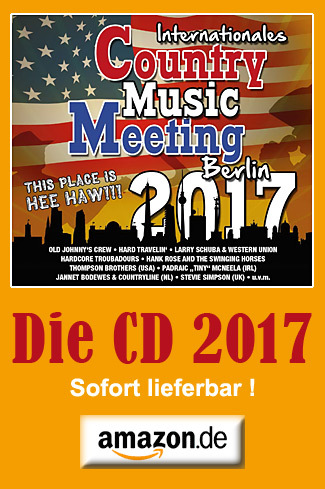 Just the sunday shows of the country bard Larry Schuba ("Auf der Autobahn") and the band Truck Stop ("Ich möcht' so gern Dave Dudley hör'n") proof the opinion that you'll get "quality instead of quantity" by event manager Frank Lange at the Fontane-Haus directly next to the American Western Saloon. "It was a long and hard way, but it was worthwhile" - so the comment of the obviously pleased Mr. Lange about the deal with Truck Stop. "This will be a high class Meeting." But he's already thinking one year ahead and tells a first little secret about his 2013 plans: "Deals with first row Nashville artists are already on the case." Hot sounds are guaranteed. For the first time after the split of Western Union you can see Larry Schuba with a new band - "very fine pickin' and singing" is the promise to his fans about the Combo Acoustic Thunder. And when the irish artist "Tiny" McNeela starts singing his would-be love song "She broke my heart" the fans can hardly wait to hear the second line "And I broke her jaw". At the "Kick Off" at the American Western Saloon you can already see the Texan Cody Jinks ("Lost highway") on thursday night, followed by a dutch marked Friday After Show Party and a "Kraut Saturday" with german bands, some from the Berlin scene. And if you don't know the bands or their songs - never mind, nearly everybody offers "some" Johnny Cash. 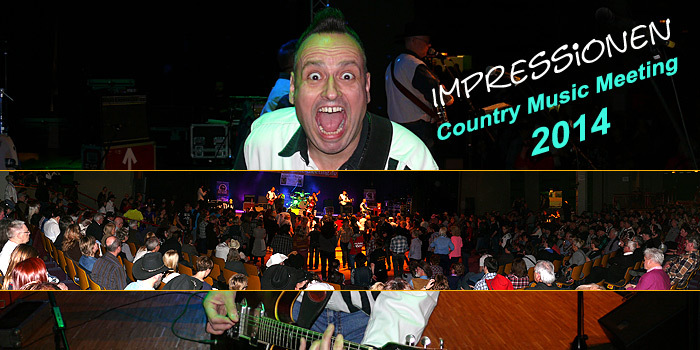 At the "Country Music Messe" at the Postbahnhof 120 bands and solo acts from 12 nations share the mics. The line-up offers the Grammy-Award-winner Billy Yates as well as the newcomer Mitch Keller from Teltow. "It is a meeting point of the scene at the beginning of the year" says event manager Kai Ulatowski. But with the high amount of musicians it's hard to judge the quality: "Some are difficult to classify, some I don't even know at all." But this event is concepted as a fair, where musicians can present themselves to get some gigs. Why 2 events at the same time? The former friends and business partners Lange and Ulatowski, who used to present the Country Music Messe together, split in anger a few years ago. Now they are both trying to make "their own thing". The country fans just have to hazard the consequences: long travel routes through Berlin. Only a few bands are performing at both events. "Who chooses to play at Frank Lange's event, does not have to play at mine, I can choose my own program" says Ulatowski. Some artists have to suffer. "Sad, but true" is the opinion of the band Nashfield from Bielefeld.  According to their webpage they were forced to make their choice: either Messe or Meeting. 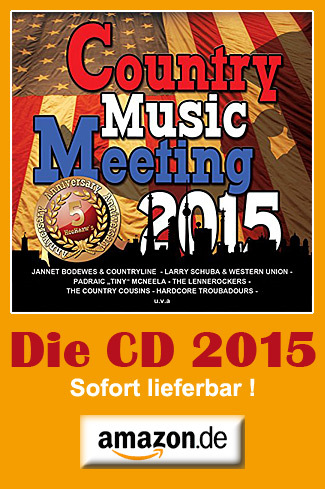 Finally they decided to perform at the Country Music Meeting at the Fontane-Haus. The Berlin bands The Krusingers or Bluegrass Breakdown ("Fascination Expired") use their home field advantage and perform at both events. "We use the forum at both venues" says Bluegrass Breakdown bass player Reinhard Arndt. The band does not want to get involved in the dispute of the 2 event managers. But he mentions: "For us as musicians this is quite stupid, because the Country scene is rather small."